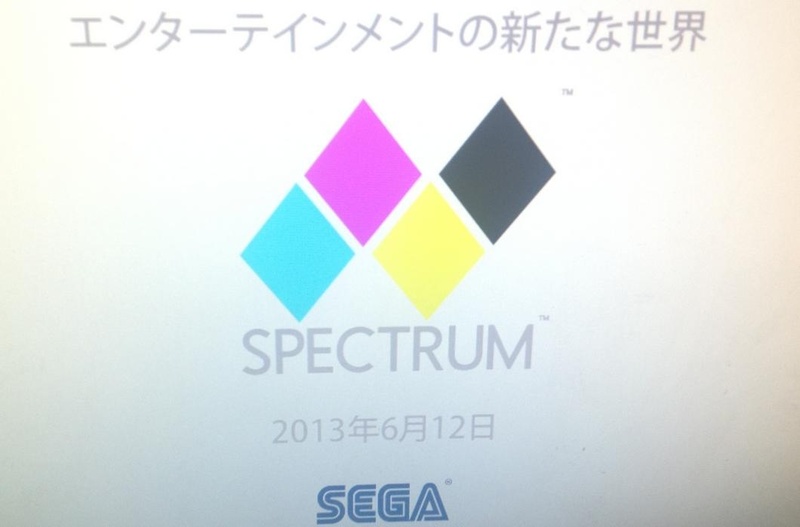 The image above was posted by a NeoGAF user a while ago, but still nobody has a clue on what this mysterious SEGA Spectrum is. For those who don’t speak Japanese, the text says “A new world of entertainment”, but it could be referred to everything. Starting with a long waited return of SEGA in the hardware market with a brand new console (which is highly unlikely) to some sort of digital platform for releasing arcade titles directly to the cabinet’s boards (similar to the one from Taito). Everything is possible, and we’ll know the truth soon enough as the date points to June 6th, exactly during this year’s E3. Welcome back to our MVGA column. 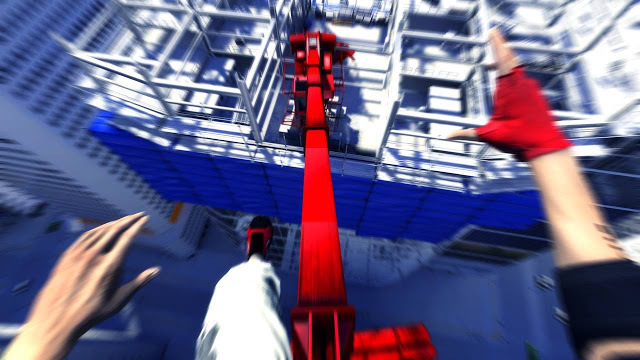 As usual we selected two great video games advertisement for your entertainment. As we all know, video games are art (no? wrong blog). But there are something else that usually is left out from the definition of art…advertisements. Obviously not all of them (exactly as not all games are), for example we don’t consider art your local market tv spot or some trash washing powders paper ads as a form of art. 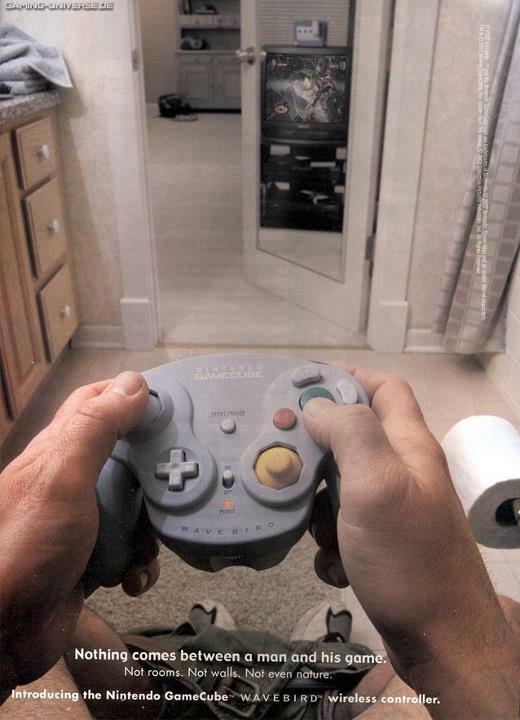 But, what happen when video games and advertising collide? Well, sometimes something special, that gives you goosebumps, sometimes something very weird (anyone said japanese tv spots?). 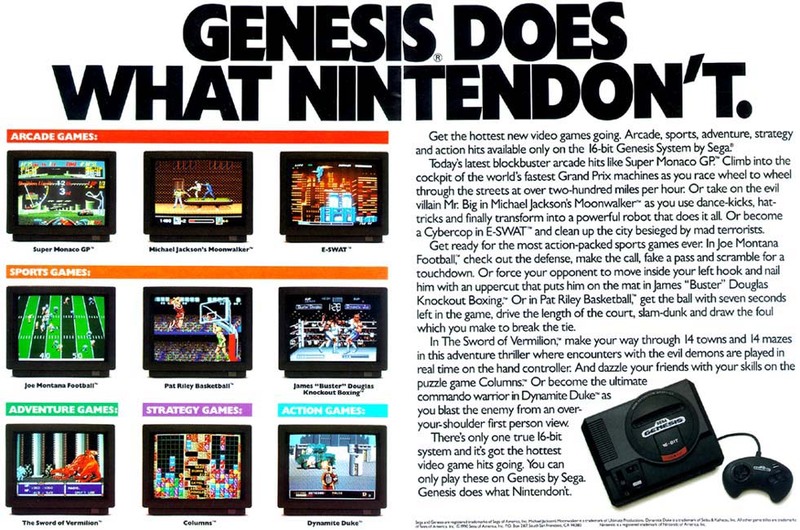 Said so, MEMORABLE VIDEO GAME ADVERTISEMENTS (MVGA) will be a new periodical (just don’t ask how often) column about the best (and sometimes the worst) video games advertisements of all times. Every issue will feature one tv spot and one print/paper/billboard adv. Comment: Brilliant! Fantastic! We’ll love this adv forever! This is pure OLD SCHOOL CONSOLE WAR! Thanks to Sega of America CEO Michael Katz for being so arrogant and aggressive; you created one of the best marketing campaign ever!